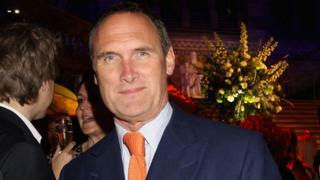 Sunday Times restaurant critic AA Gill described how the NHS could not give him a potentially life-extending cancer treatment in his final article. The columnist died on Saturday aged 62, three weeks after revealing he had the "full English" of cancers. Gill, writing in the Sunday Times magazine, said his oncologist recommended immunotherapy, but it was not available on the NHS. It would have meant "more life spent on earth - but only if you can pay". Gill said he had been denied the therapy - costing up to £100,000 ($126,000) a year - that may have helped him live "considerably" longer and is the weapon of choice for "every oncologist in the First World". He said that the cost of the treatment suggested - nivolumab - was £60,000 to £100,000 a year for a lung cancer patient, about four times the cost of chemotherapy. Gill said that "old men who think they're going to die anyway aren't very effective activists" and do not see the "public or press pressure that young mothers' cancers and kids' diseases get". He added: "As yet, immunotherapy isn't a cure, it's a stretch more life, a considerable bit of life. "More life with your kids, more life with your friends, more life holding hands, more life shared, more life spent on earth - but only if you can pay." Gill, who previously said he wanted to have his treatment on the NHS due to a sense of "human connection", drew attention to the health service's performance in international oncology rankings. He wrote: "It was the first question I asked my oncologist, Dr Conrad Lewanski. 'Why is this such a bad place to get cancer, when we have lots of hospitals, when we teach doctors from all over the world, when we've won more Nobel prizes than the French?'. 'It's the nature of the health service,' he says." Nivolumab (brand name Opdivo) is a type of immunotherapy that stimulates the body's immune system to fight cancer cells. It works by interrupting the chemical signals that cancers use to convince the immune system they are healthy tissue. Patients can have nivolumab into a vein as a drip. It is used to treat advanced melanoma and squamous non small-cell lung cancer. It is also used in clinical trials for other types of cancer. It is available on the NHS to lung cancer patients in Scotland, but it is under review by the National Institute for Health and Care Excellence (Nice) which makes recommendations on whether the NHS in England will fund new drugs. Gill said he had a course of platinum chemotherapy at the Charing Cross Hospital in London, but he described how he was later rushed to hospital in pain, "by miles and miles the worst thing I have ever lived through". After doctors discovered his pancreatic tumour had grown to the size of a fist they offered more chemotherapy, but the article reveals that he began taking nivolumab before he died. Gill finished the article, which was printed before he died, with a conversation he had with a cancer nurse. "(She said) 'You're supposed to be with me down in chemotherapy. I saw your name. Why are you up here? '," he wrote. "'Well, it turns out the chemo isn't working'. Her shoulders sag and her hand goes to her head... I think she might be crying. "I look away, so might I. "You don't get that with private healthcare." Tributes have continued to be paid to Gill, described by Sunday Times editor Martin Ivens as "a giant among journalists" and the "heart and soul" of the paper he joined in 1993. Broadcaster Andrew Marr tweeted: "Adrian Gill, waspish & ruthless in his print persona, kind & genial in person, golden writer.RIP (reporter in paradise)." Gill's friend Jeremy Clarkson tweeted: "Please please please read The Sunday Times today." Deputy editor of the Sunday Times Sarah Baxter told the BBC's Andrew Marr show: "He's just the best of us, I can't believe he's gone. "He's the best writer, the funniest, the fiercest, compassionate in surprising ways. Extraordinary and gifted man. "I want to say how adored he was by all our colleagues - everyone high and low at the Sunday Times - he was just such a kind and generous person." And Foreign Secretary Boris Johnson said: "AA Gill was one of the last great stylists of modern journalism and one of the very few who could write a column so full of gags and original similes that it was actually worth reading twice."